This is a full floor 11,863 sq. ft. tenant improvement to the 3rd floor of the new APU Medical Office Building located on the Alaska Pacific University Campus in Anchorage. We were asked to participate as design build team member from the concept phase, throughout the design-development, cost-development stages and construction phase. The team consisted of Pfeffer Development, RIM Design, design build subcontractors included General Mechanical, Inc. and Alcan Electric, Inc. teaming with T3 Alaska, LLC. We began site-work for the APU Medical Office Building in March 2016 and completed in December 2016. 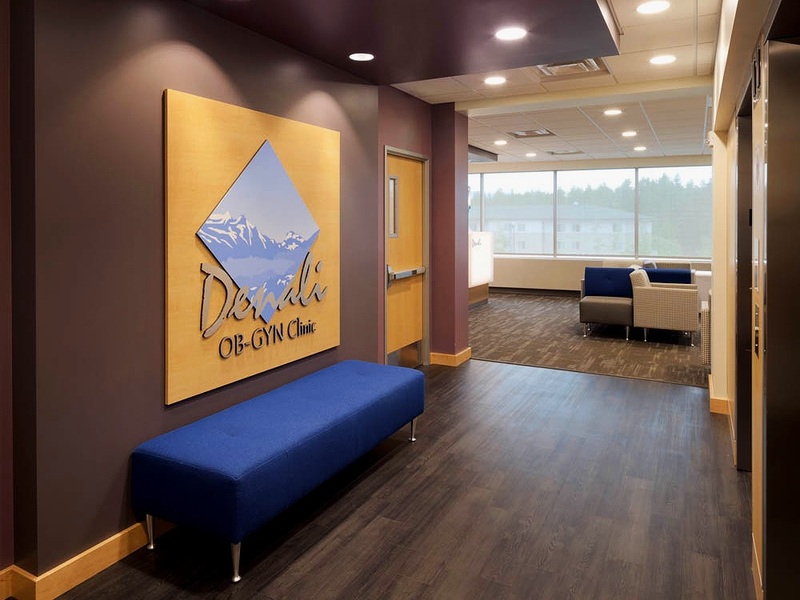 The Denali OB-GYN tenant improvement projects framing began in August 2016 and was completed in December 2016. The project included 24 nurses stations, 20 exam rooms, 2 specialty exams, 2 ultrasound rooms, NST room, lab, sterilization, conference room, breakroom and energy efficient mechanical and electric systems. Other major team mates include: Chinook Fire Protection, Commercial Contractors, and Rep Tile.